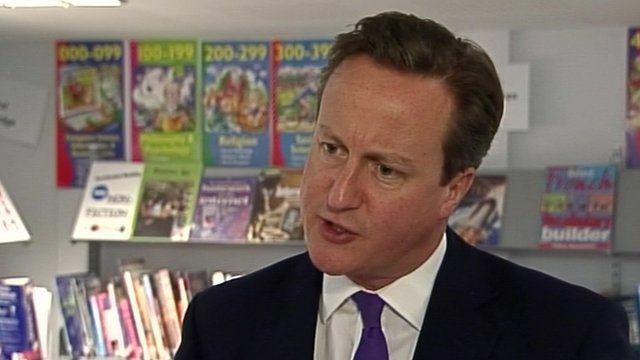 Cameron questions debates proposal Jump to media player David Cameron questions plans to include UKIP leader Nigel Farage in a general election TV debate. UKIP: One debate 'inadequate' Jump to media player UKIP's Peter Whittle has described his party's inclusion in one TV general election debate as "inadequate". Farage invited on TV debate Jump to media player UK Independence Party leader Nigel Farage has been invited to take part in a TV debate with David Cameron, Ed Miliband and Nick Clegg ahead of next year's general election. UK Independence Party leader Nigel Farage has been invited to take part in a TV debate with David Cameron, Ed Miliband and Nick Clegg ahead of next year's general election. The BBC, ITV, Sky and Channel 4 have announced plans to hold three debates, but it is proposed that Mr Farage will only feature in one, while the Lib Dem leader would take part in two, and the Conservative and Labour leaders in all three. Reacting to the plans, Prime Minister David Cameron said: "There are some questions... why are all the debates inside the election campaign rather than spread out over a longer period? Why include some parties and not other parties?"